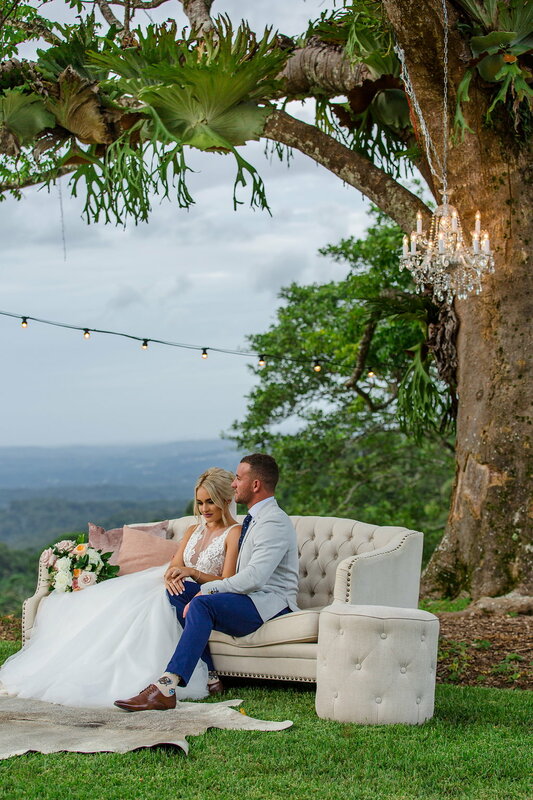 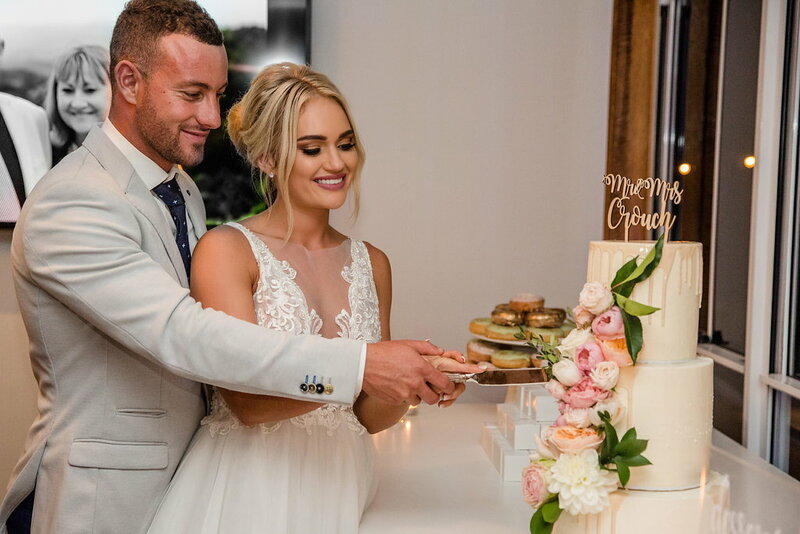 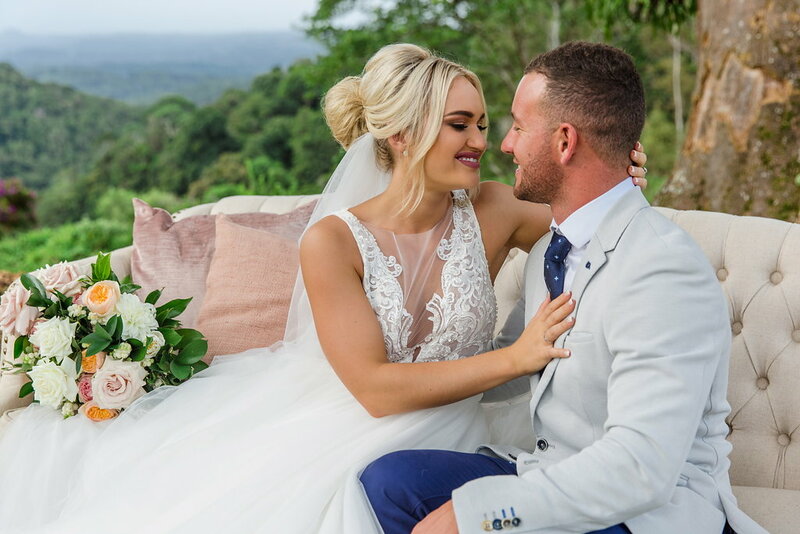 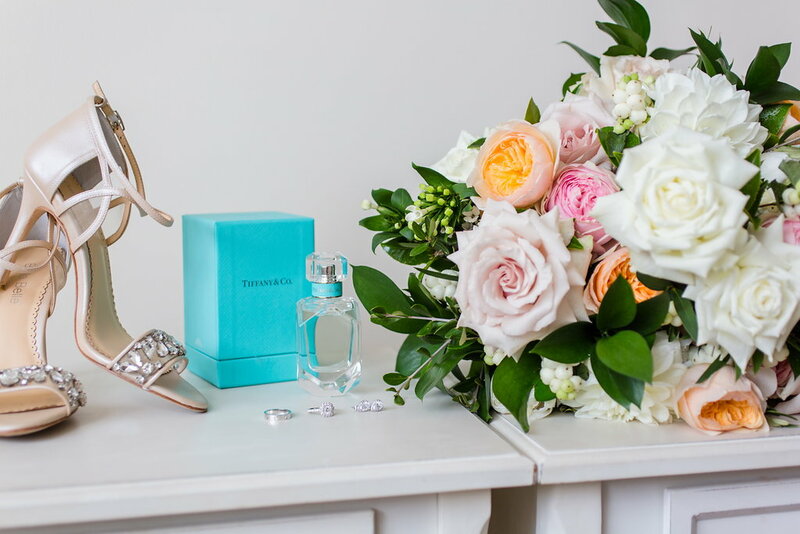 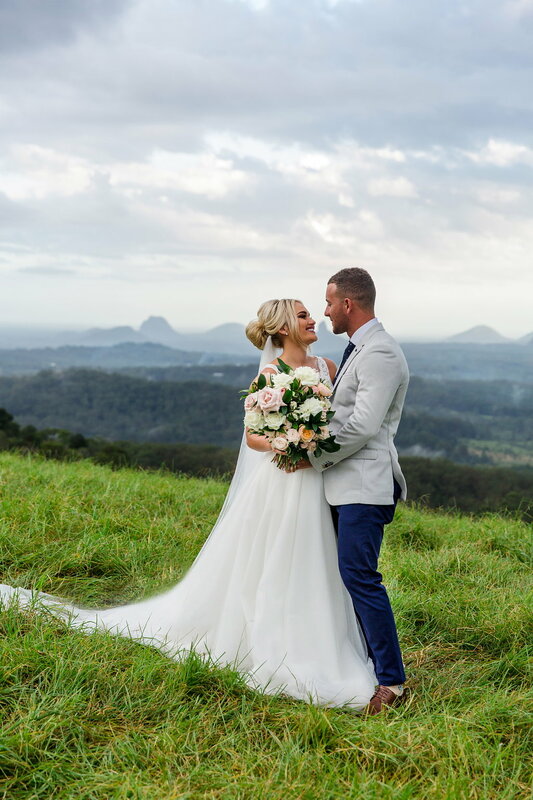 We can’t believe it has been one year since the team at Mondo Floral Designs created a breathtaking floral concept for our beautiful bride Georgie and her handsome man Tim. 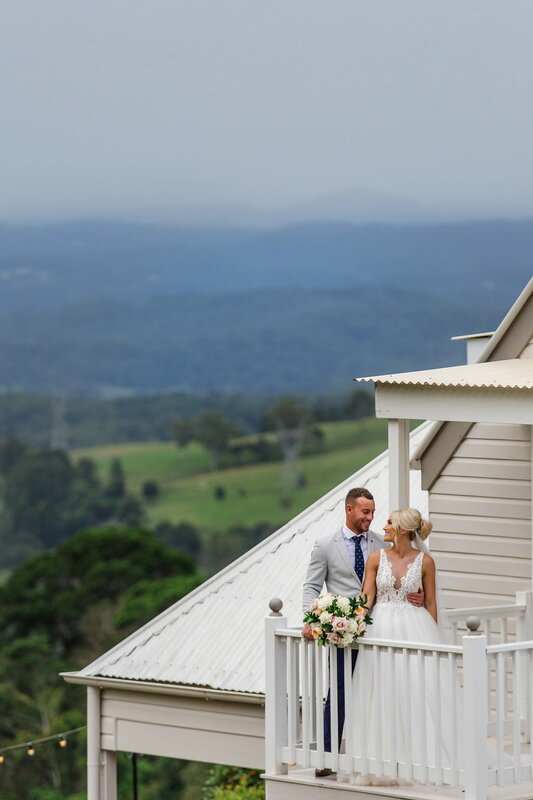 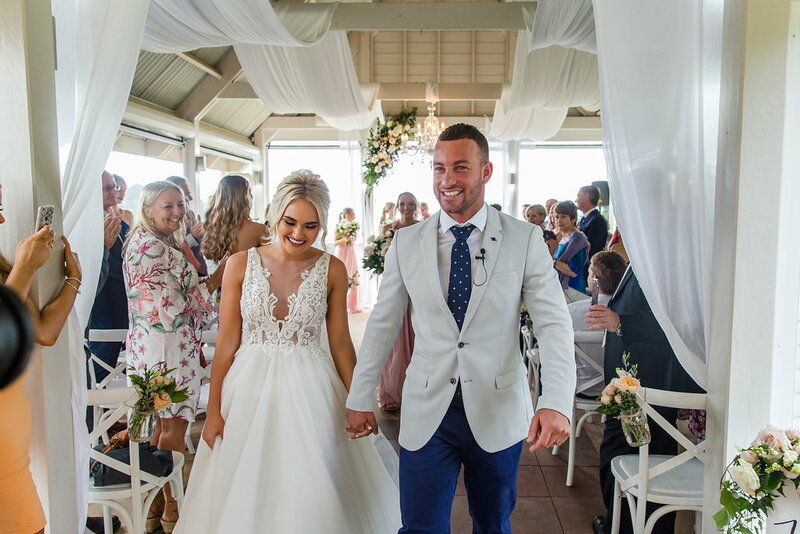 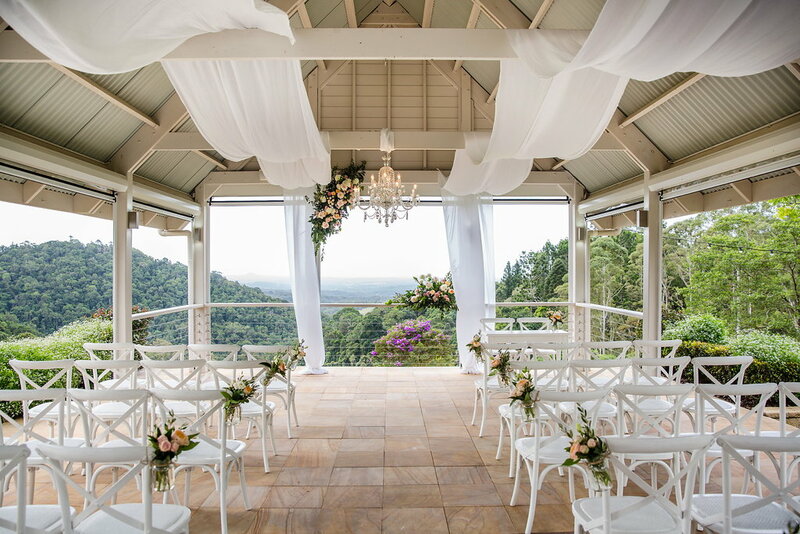 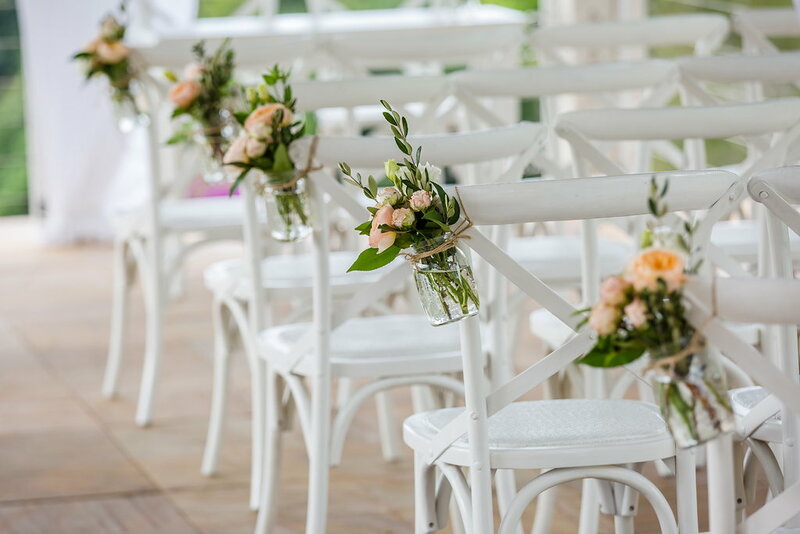 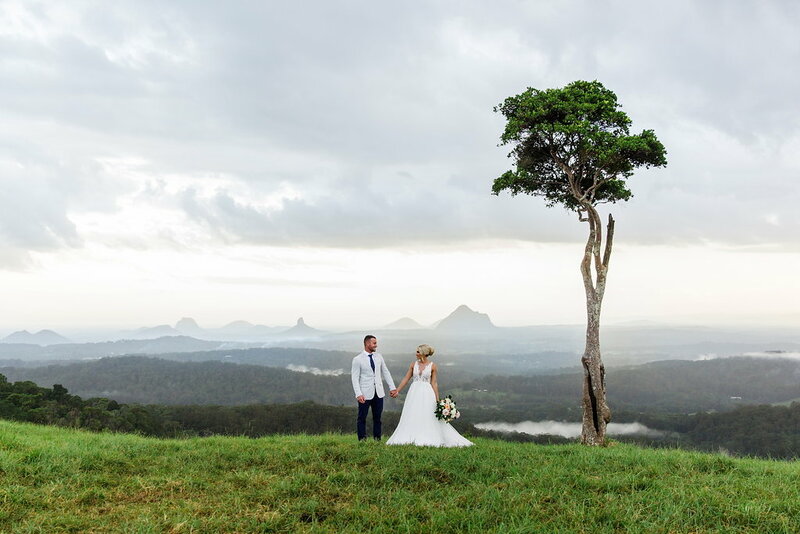 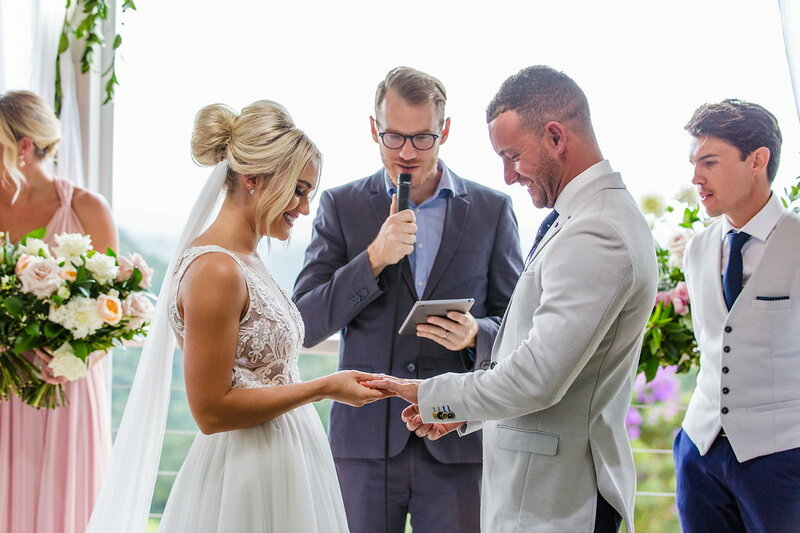 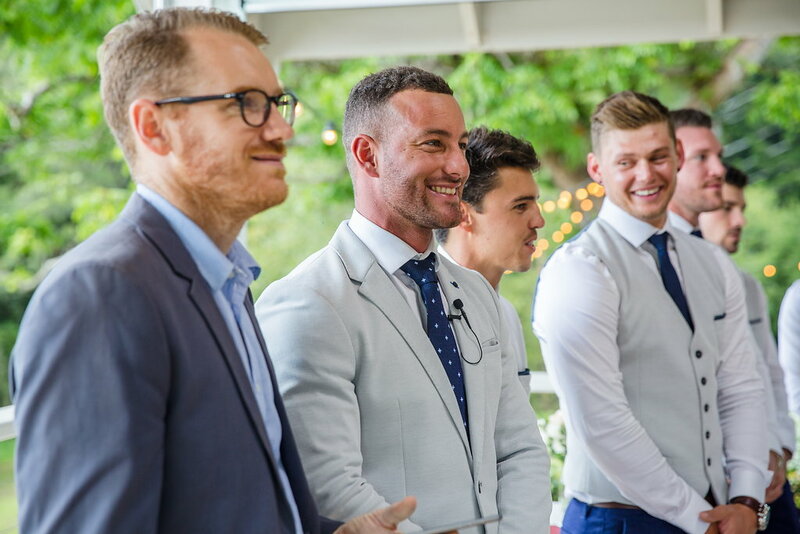 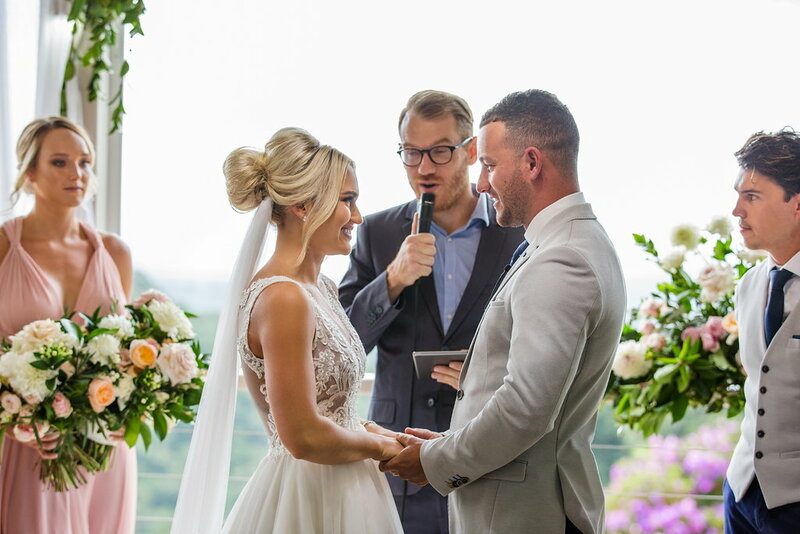 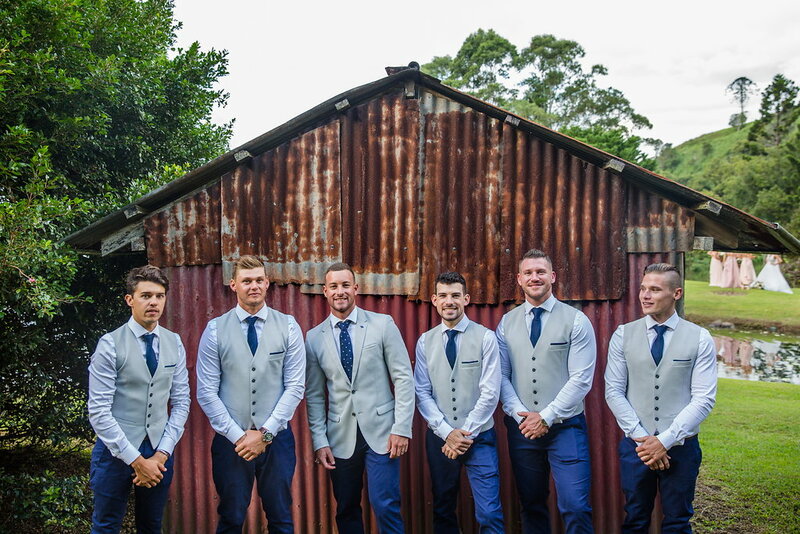 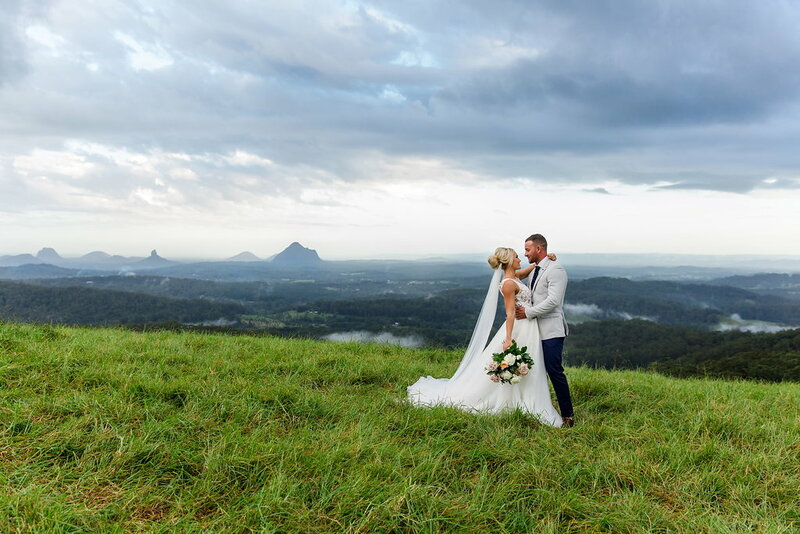 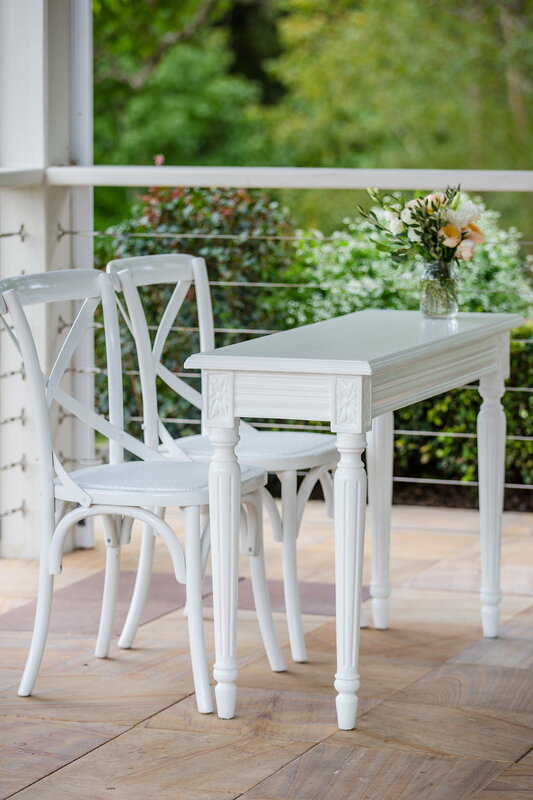 These two tied the knot at Maleny Manor in April of last year, and what at day it was! 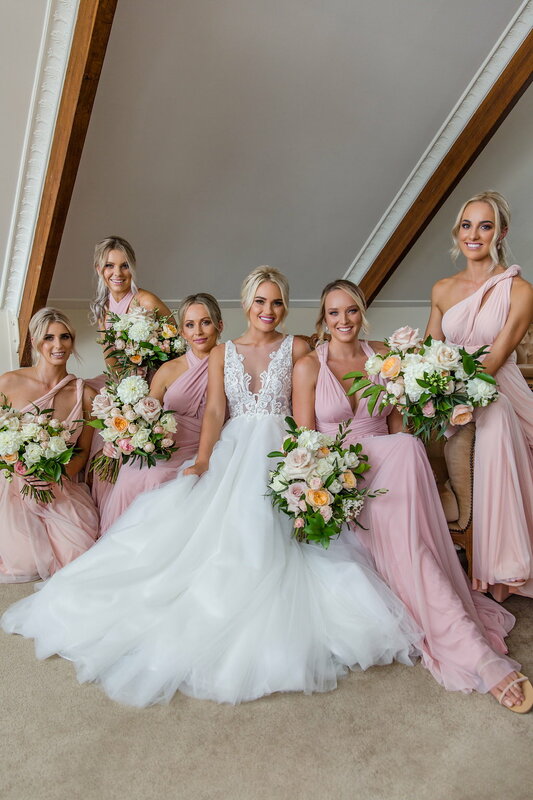 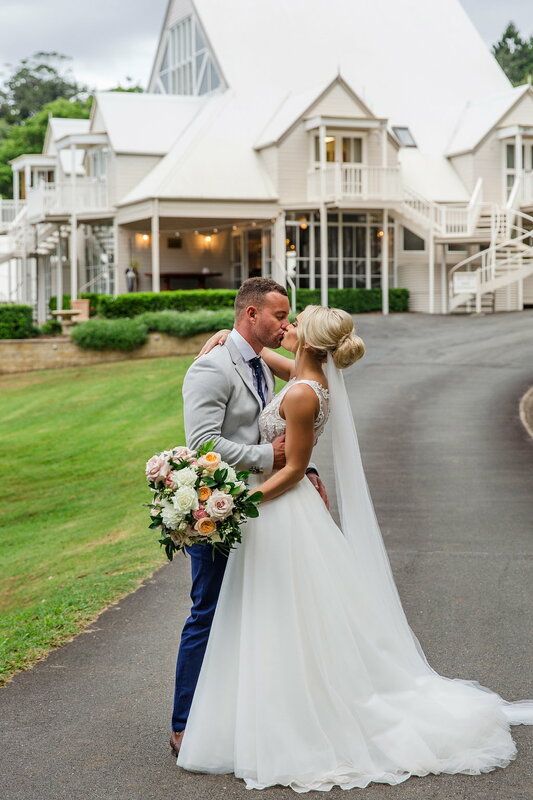 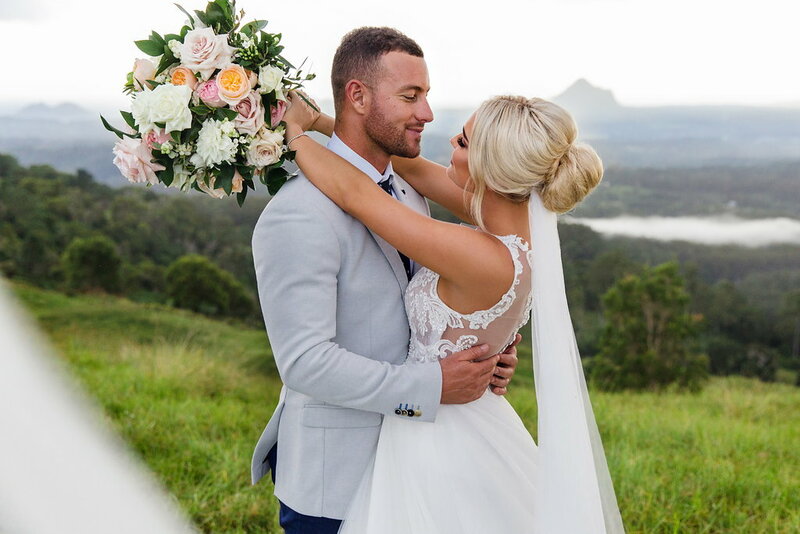 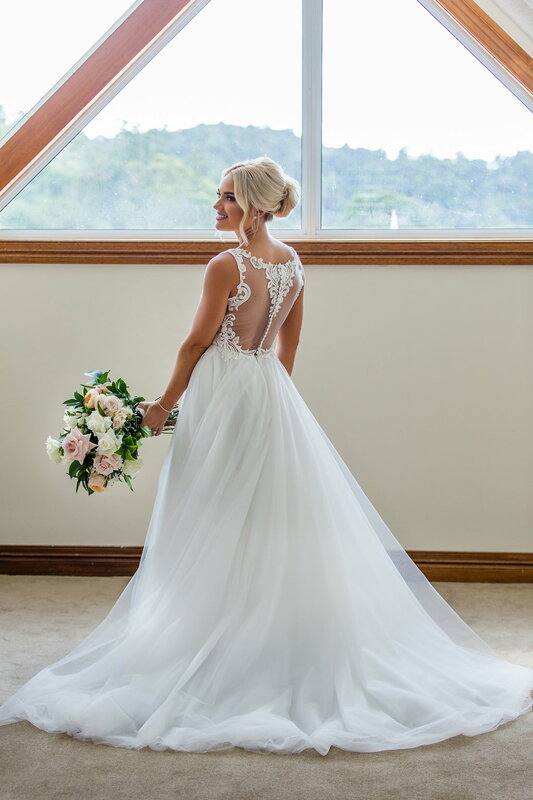 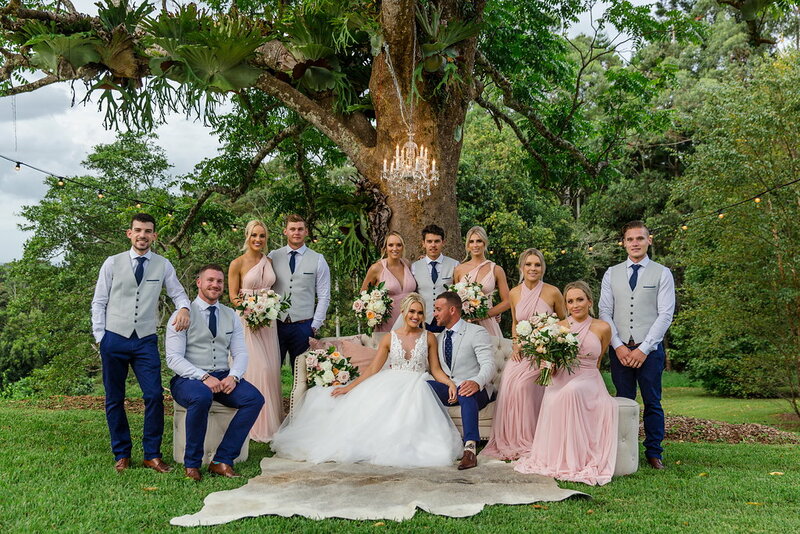 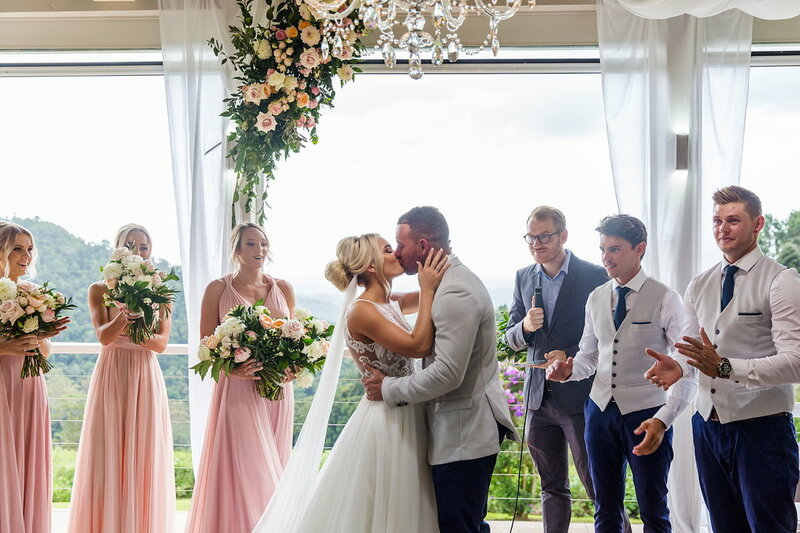 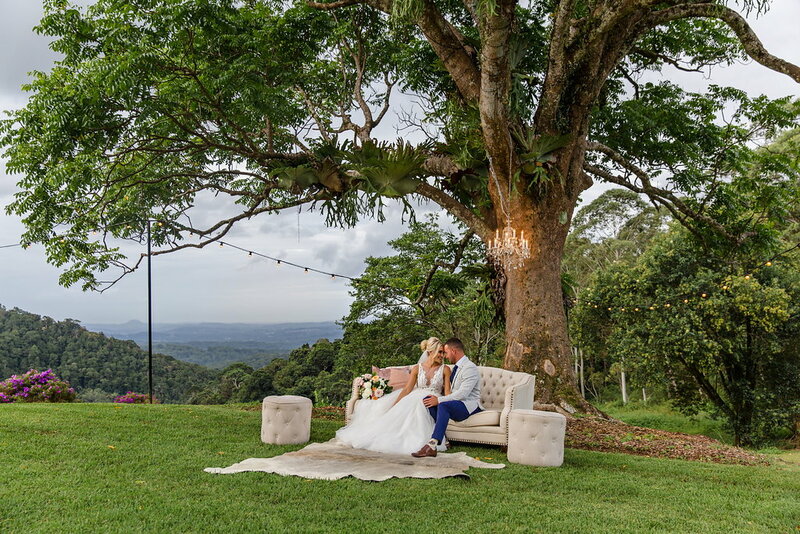 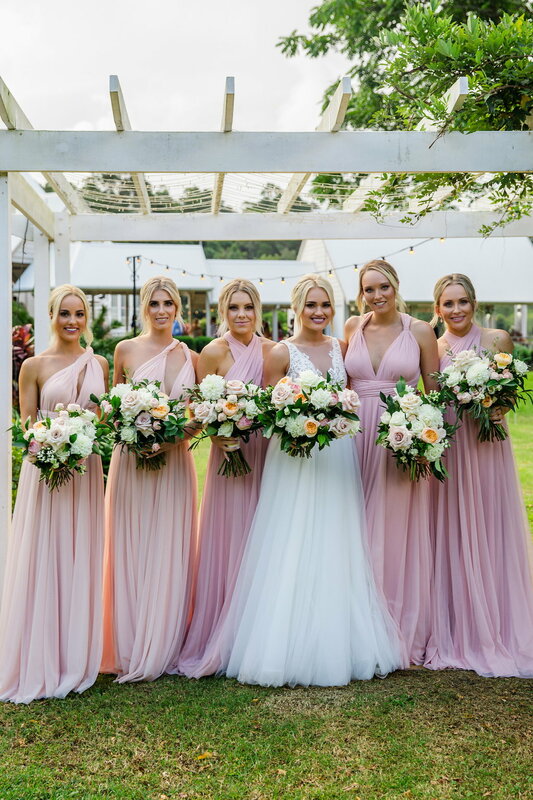 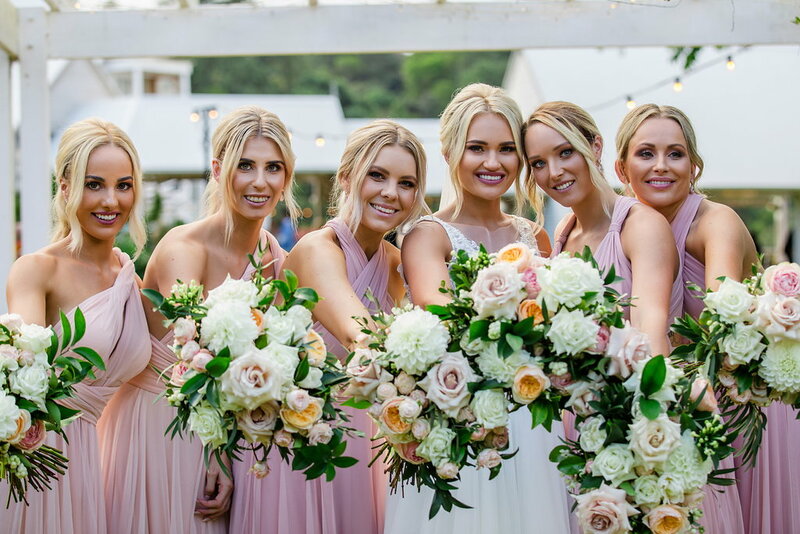 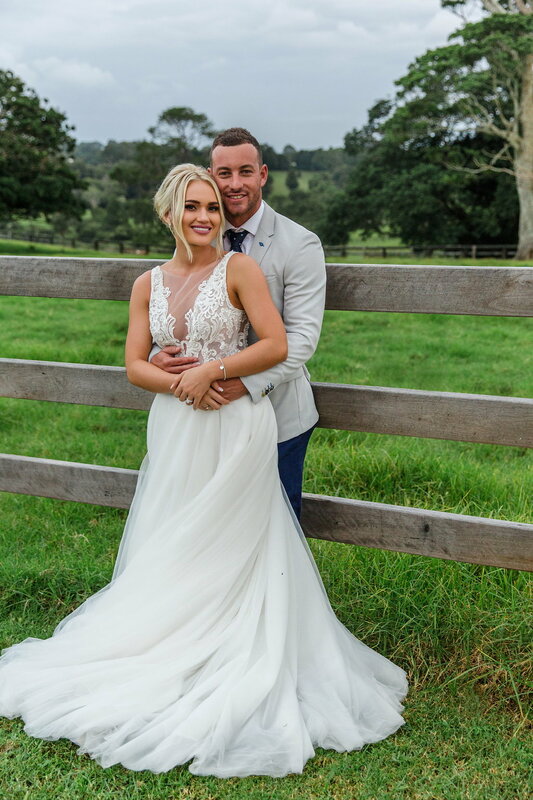 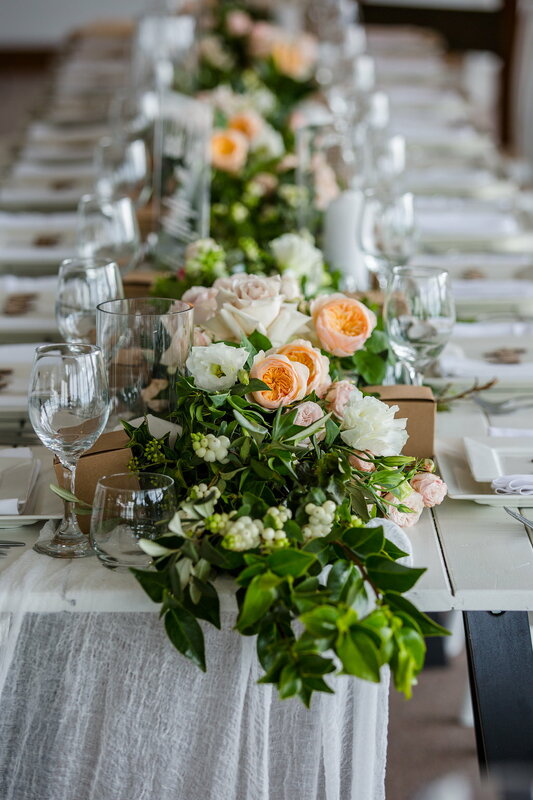 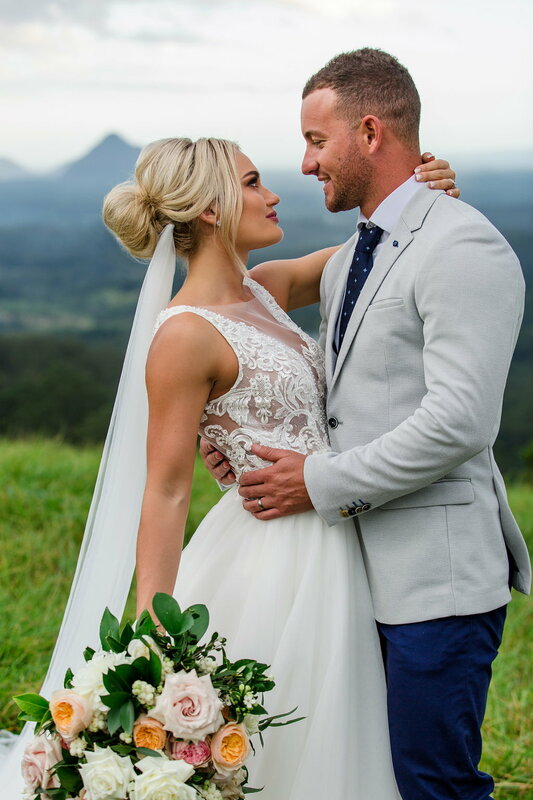 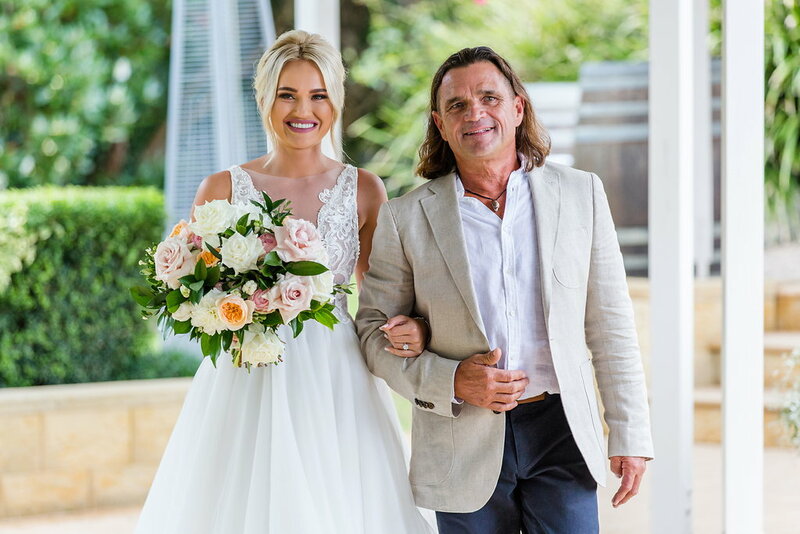 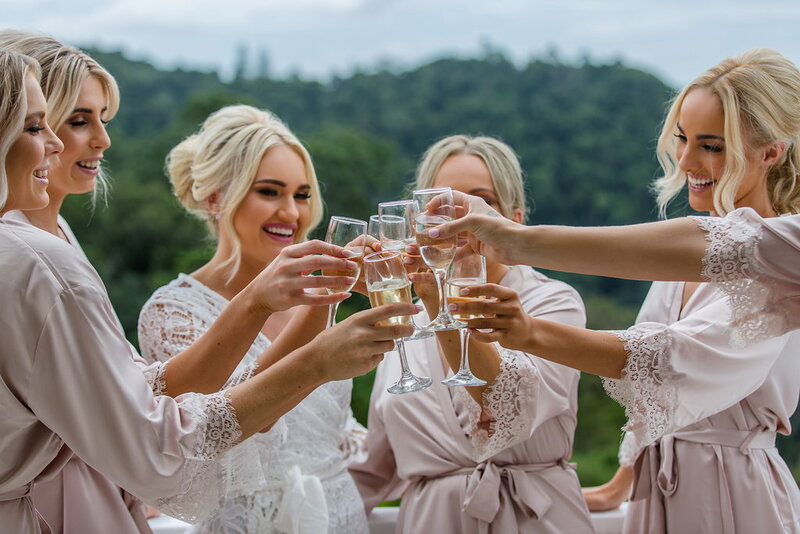 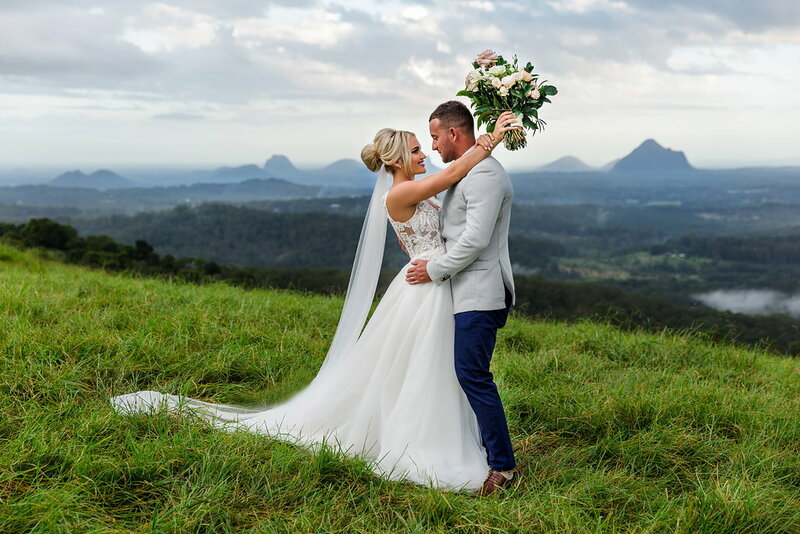 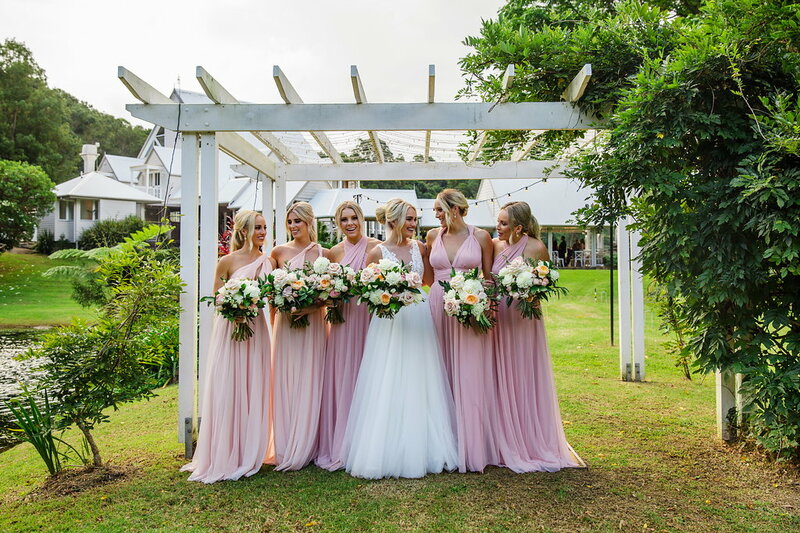 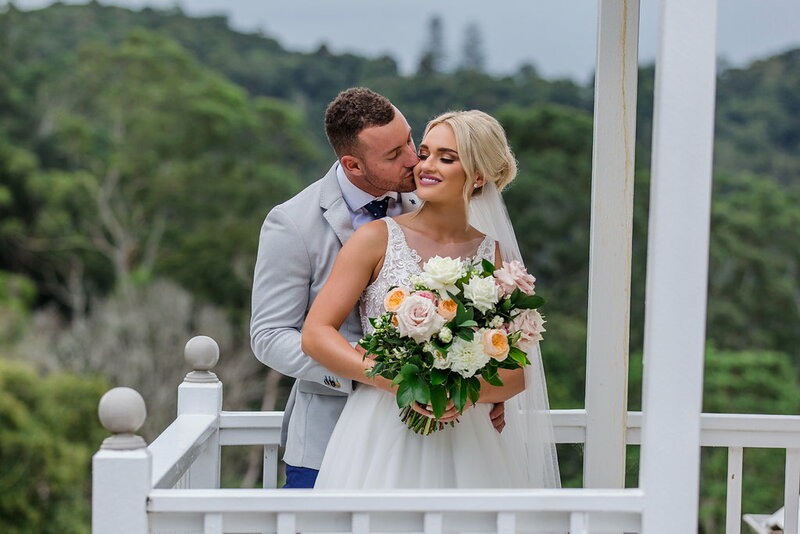 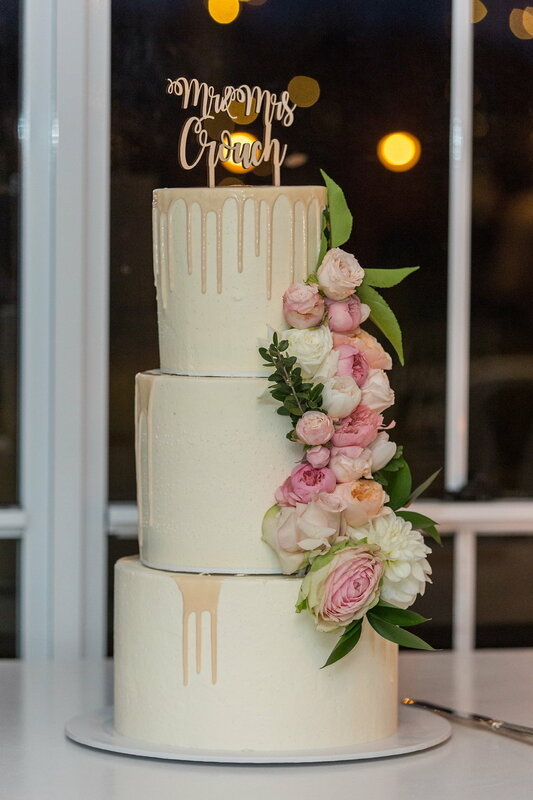 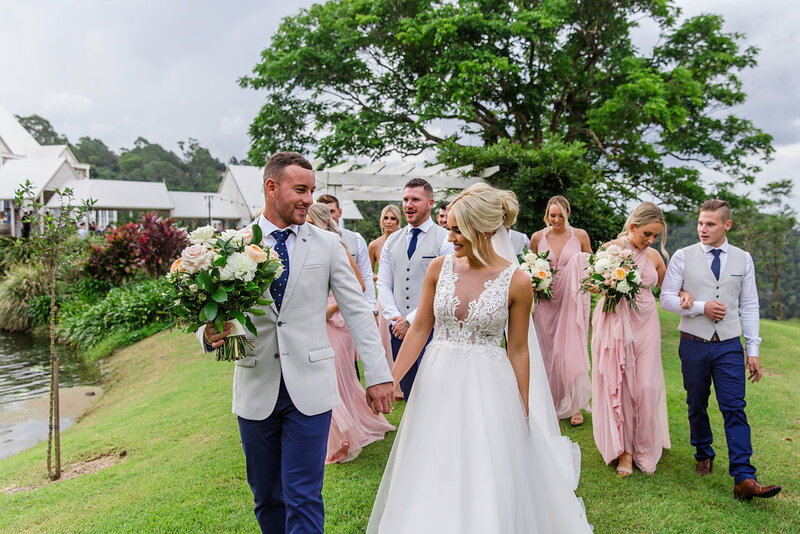 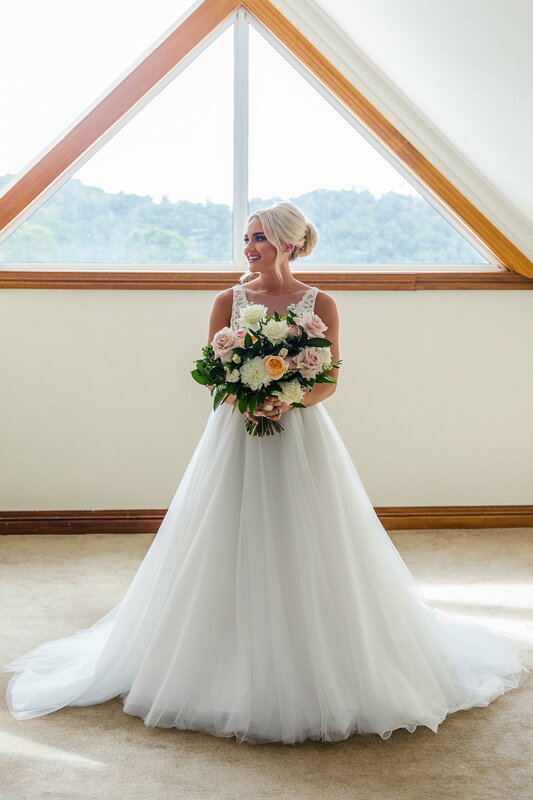 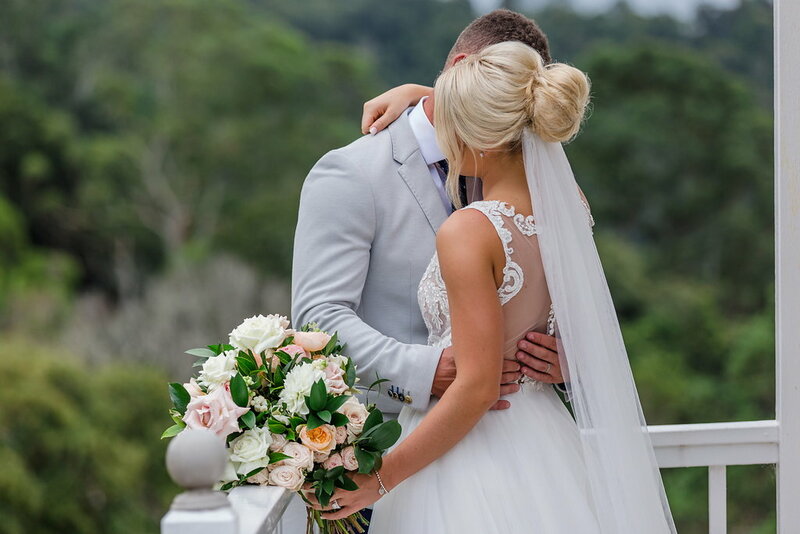 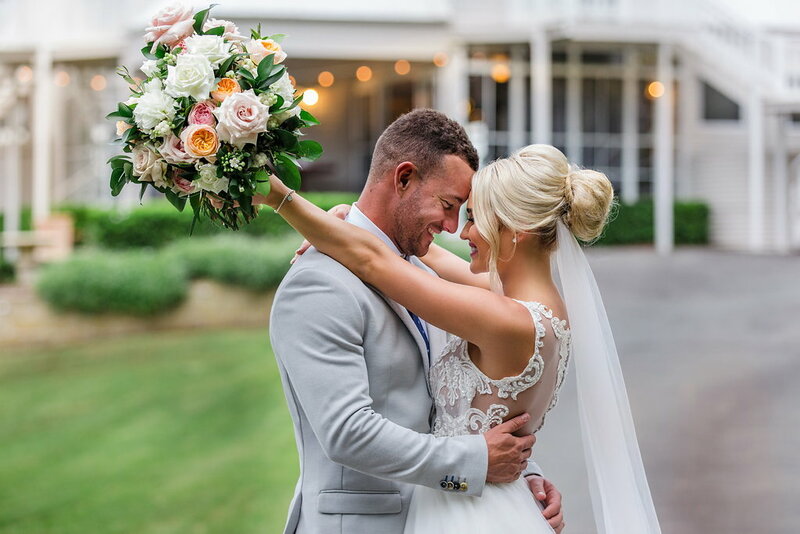 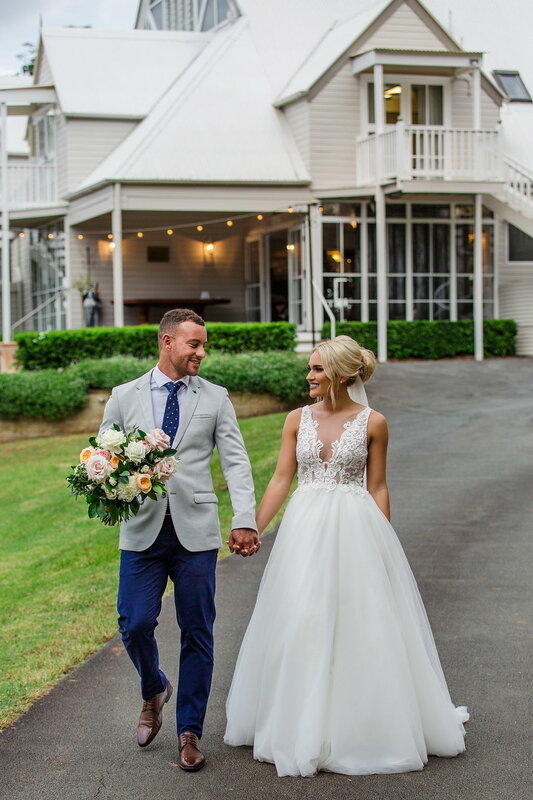 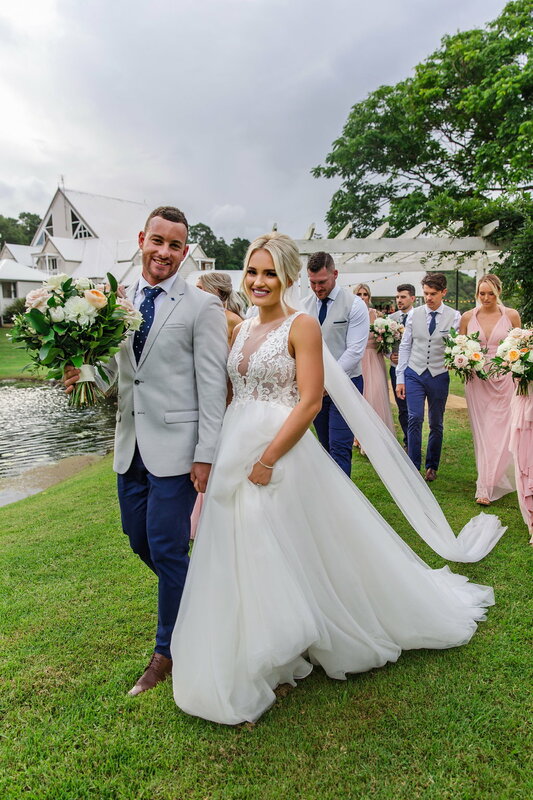 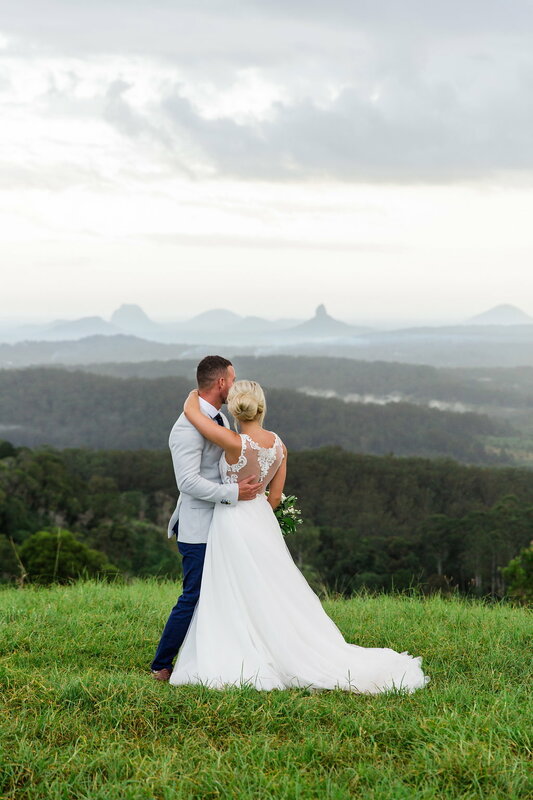 We simply adored Georgie and Tim’s special day with a bloom concept that boasted organic gardenesque floral style with white and earthy blush florals, a pop of peach and rich green foliage accents that perfectly complemented the glamorous styling and décor pieces within the stunning space at Maleny Manor! 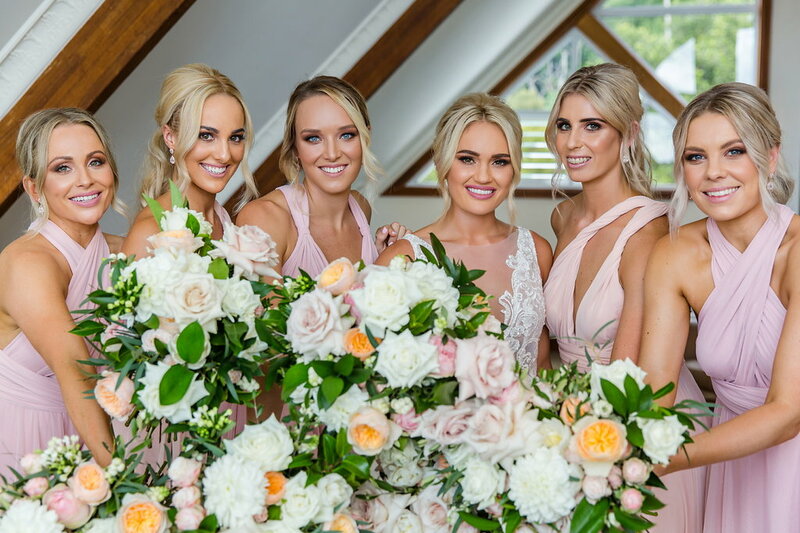 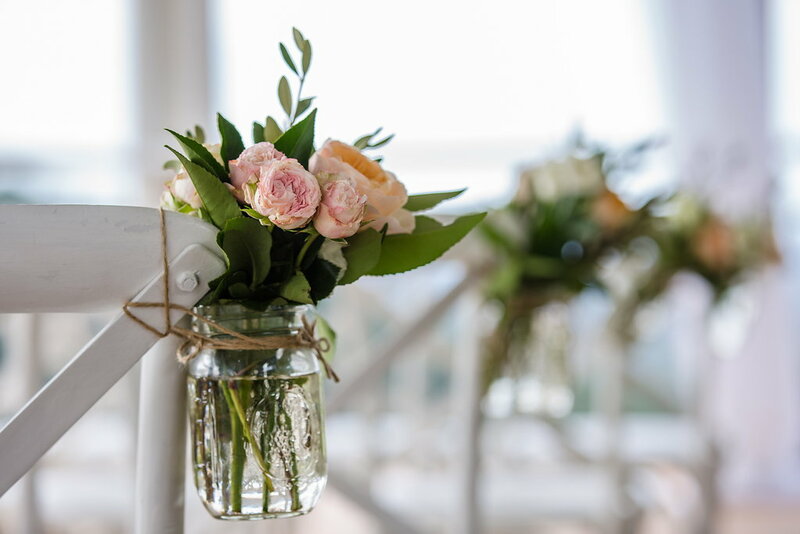 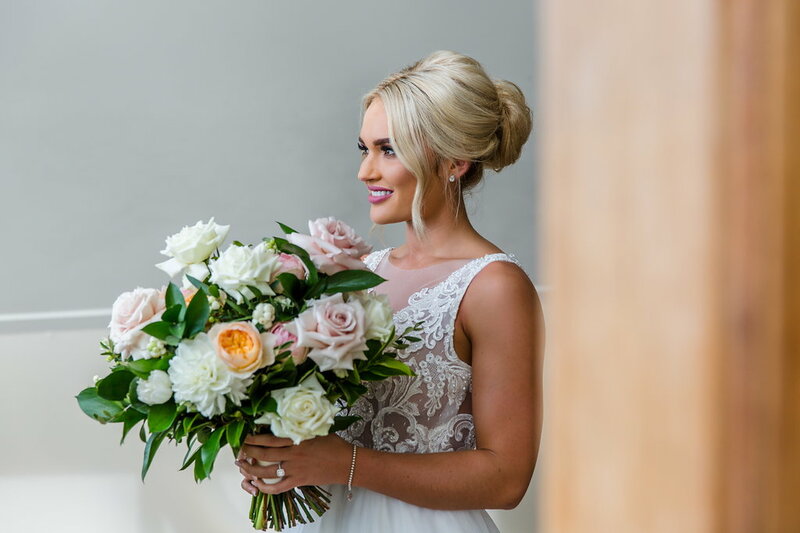 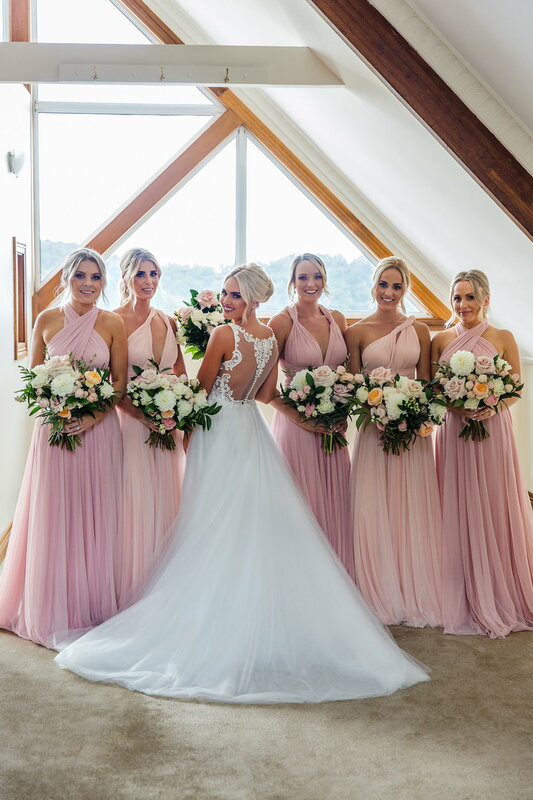 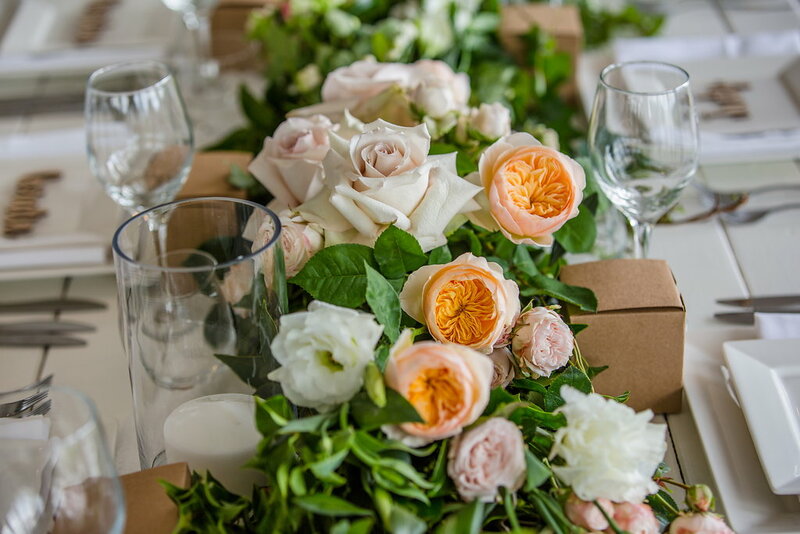 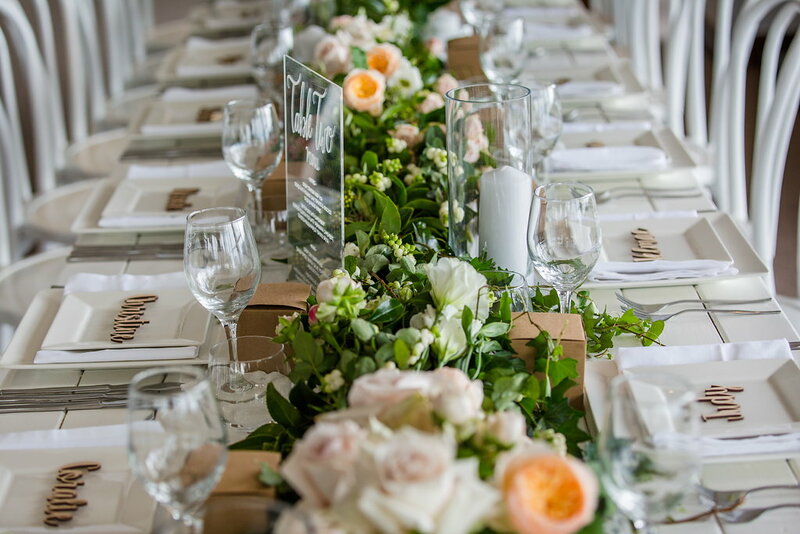 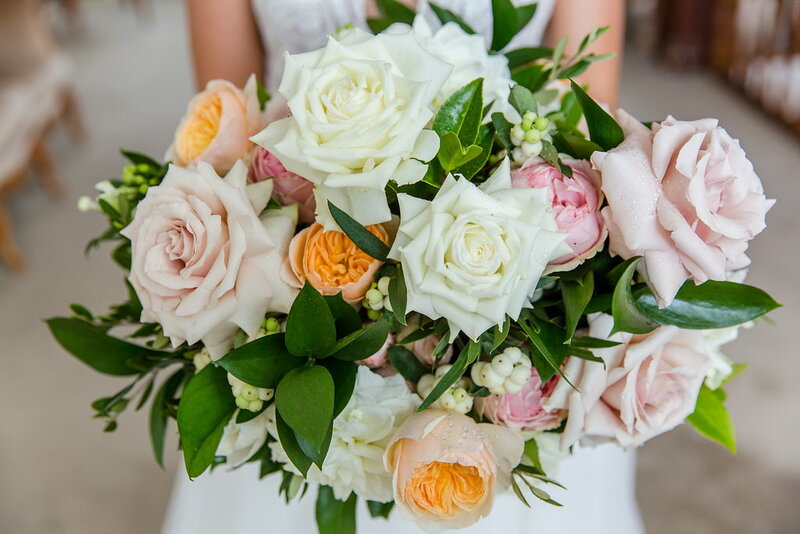 We adored creating Georgie’s bridal bouquets that highlighted a relaxed gathered modern bloom design, tones of all whites, antique pinks and pastel accents featured with a focuss on dark lush greenery, touches of sage foliage and pretty elements of textural flowering fillers. 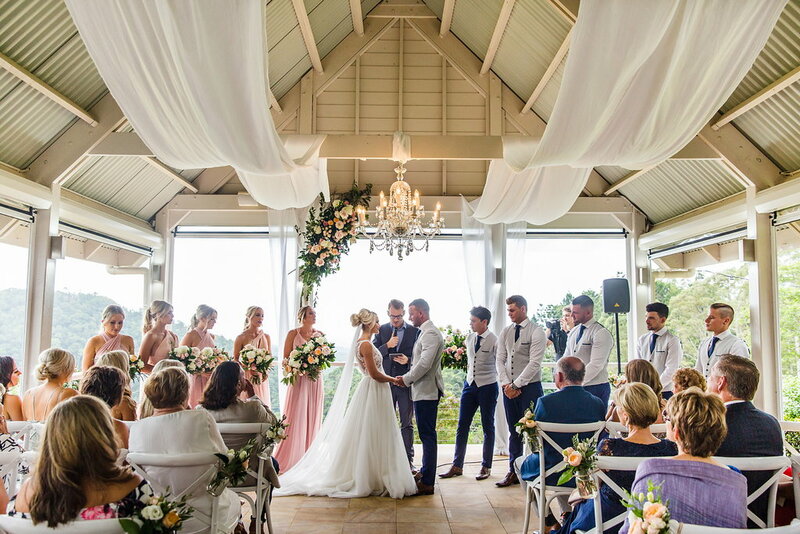 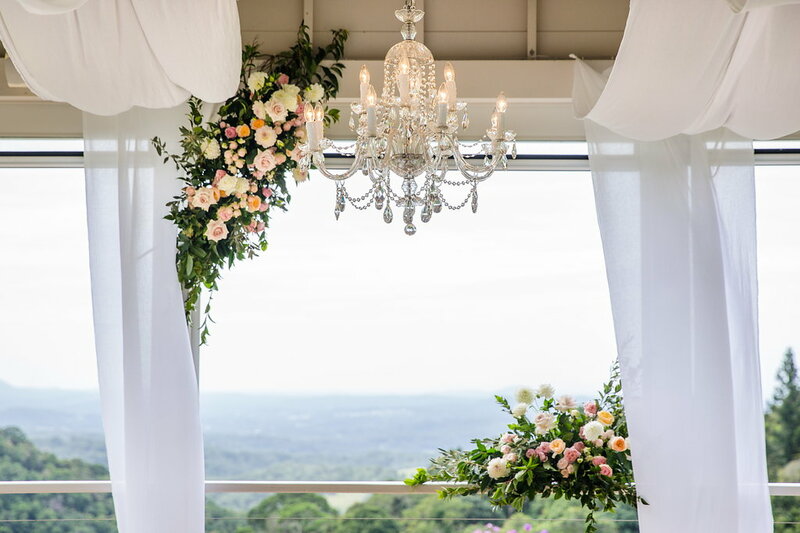 Romance Glamour and Modern wedding style was the brief for Georgie and Tim’s floral concept and we loved creating the dreamy ceremony floral installation in the beautiful pavilion at Maleny Manor, with divine floral features framing the panoramic hinterland and coastal views of this stunning space. 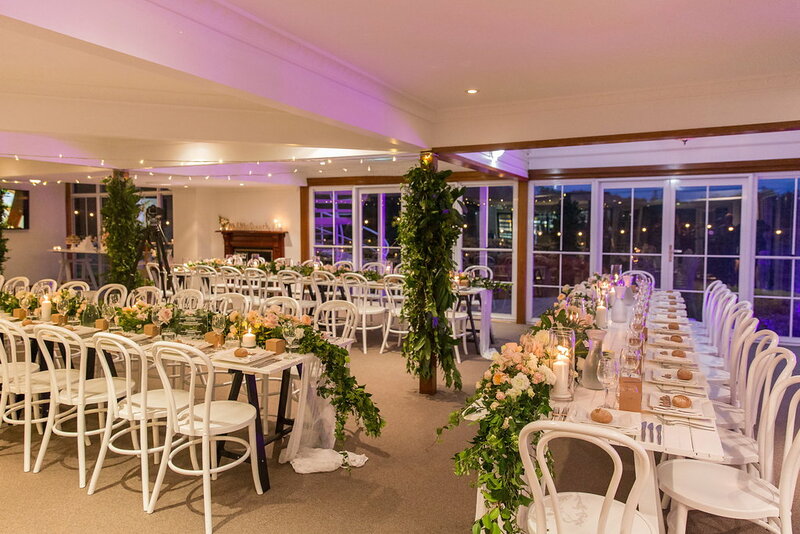 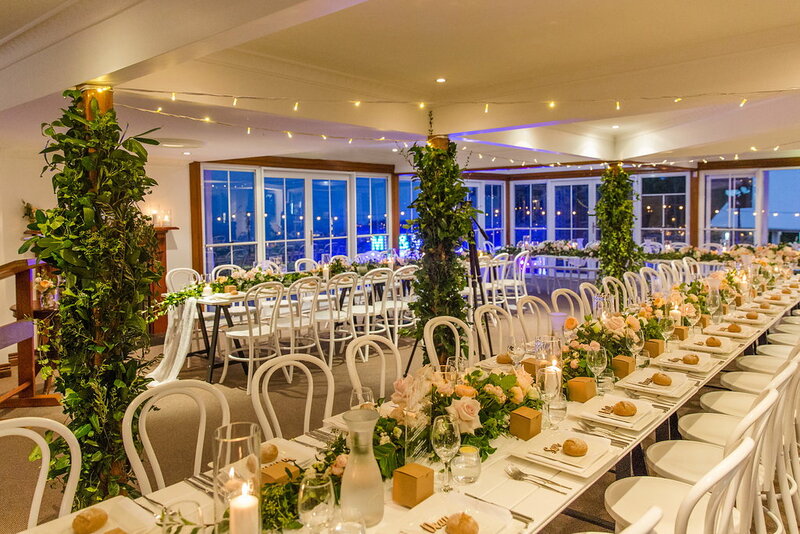 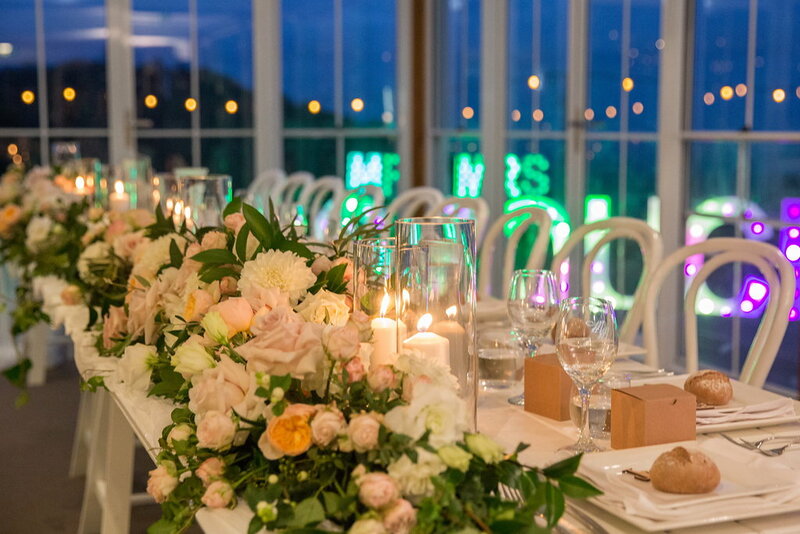 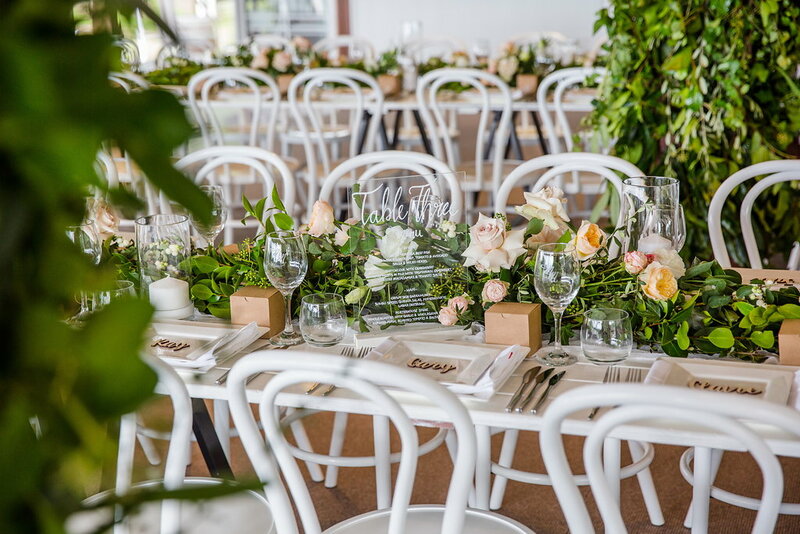 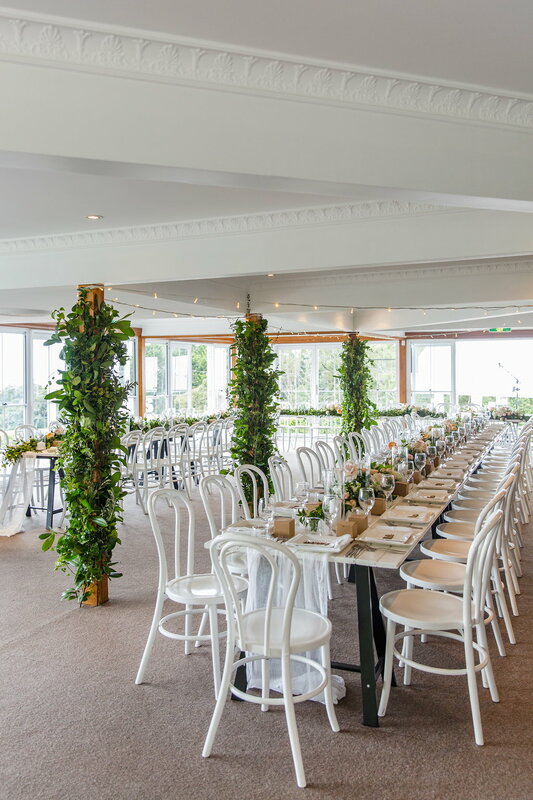 Gardenesque garlands cascading down the stunning dining tables filled the beautiful reception space and by creating green foliage features on the timber poles we added an organic green accent, bringing the gorgeous outdoors inside. 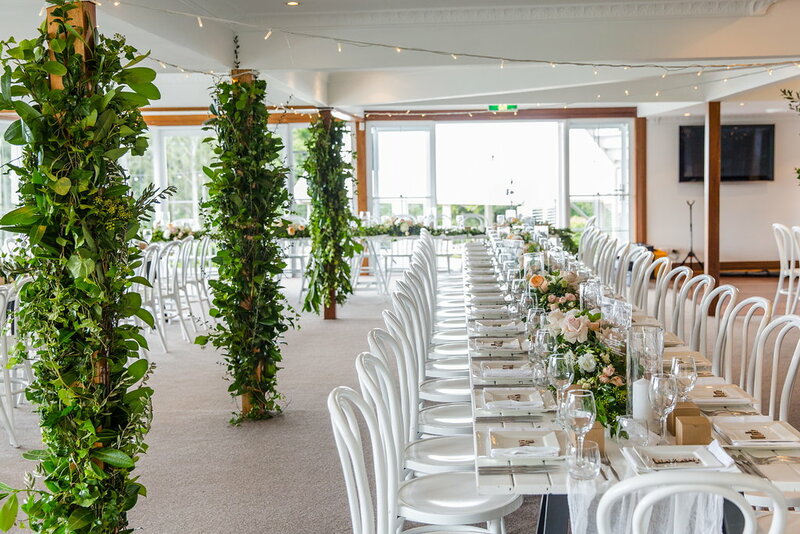 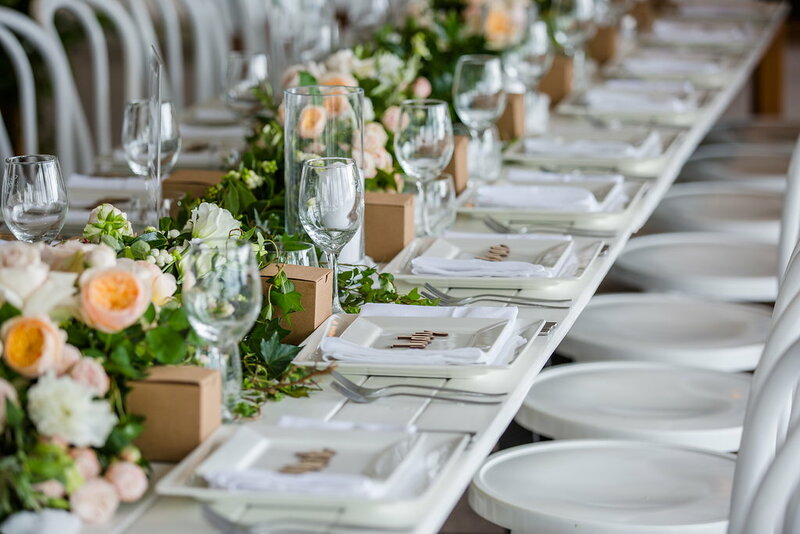 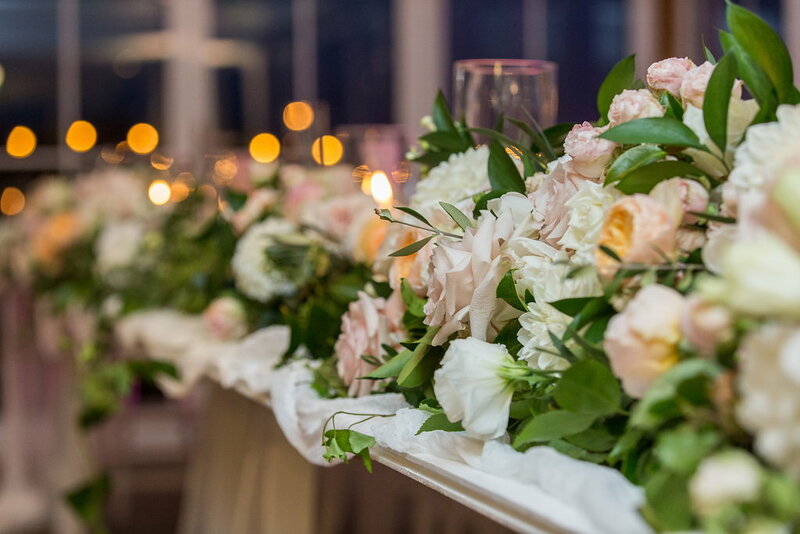 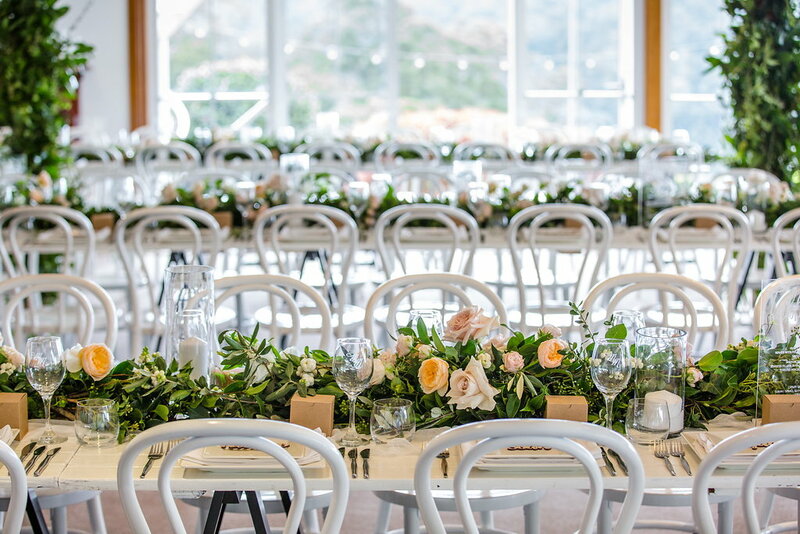 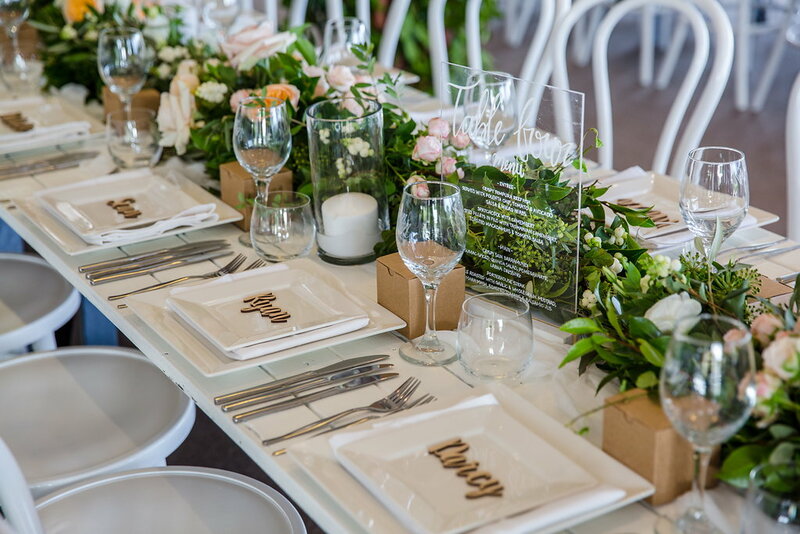 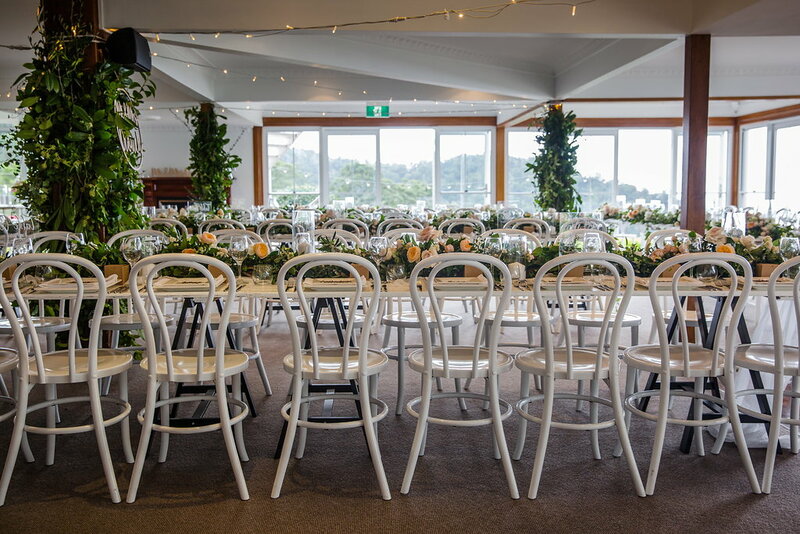 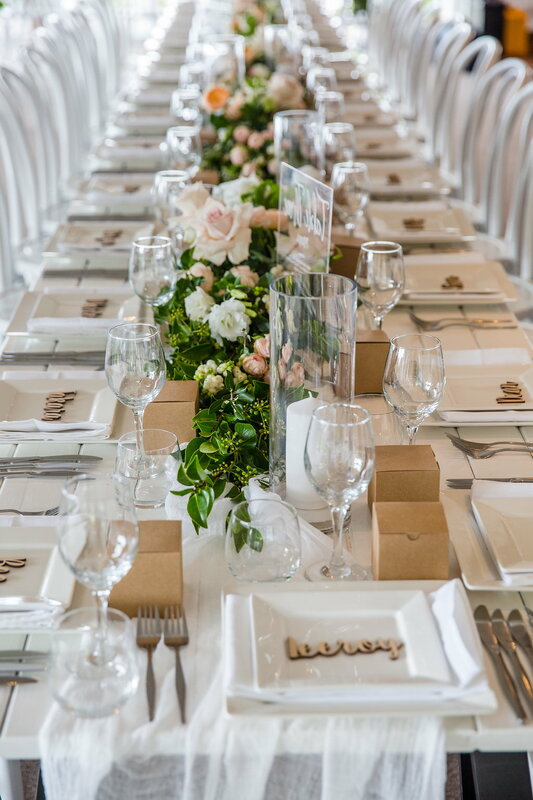 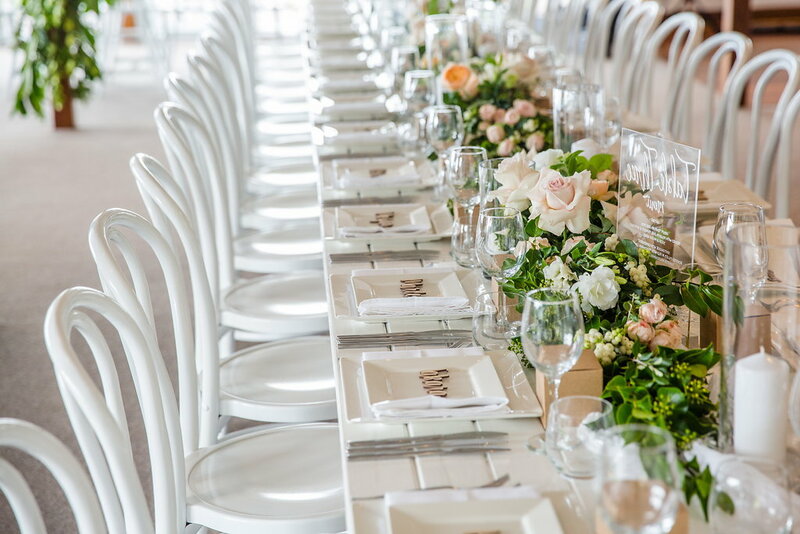 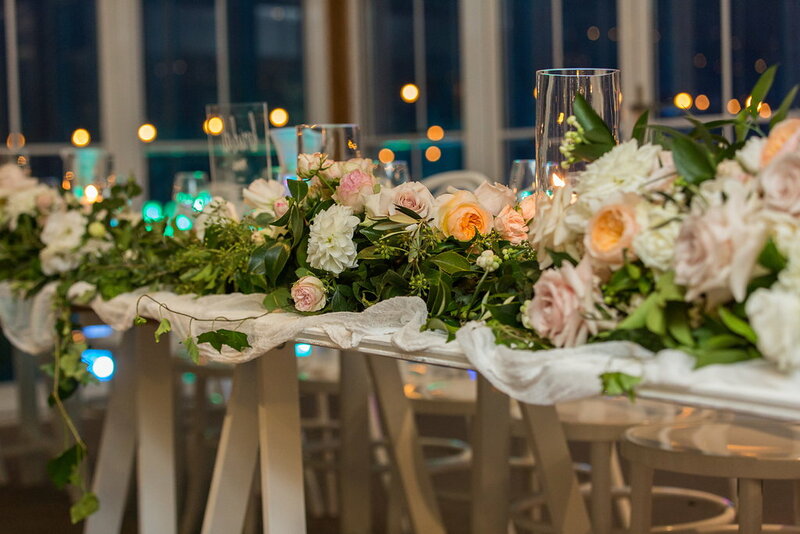 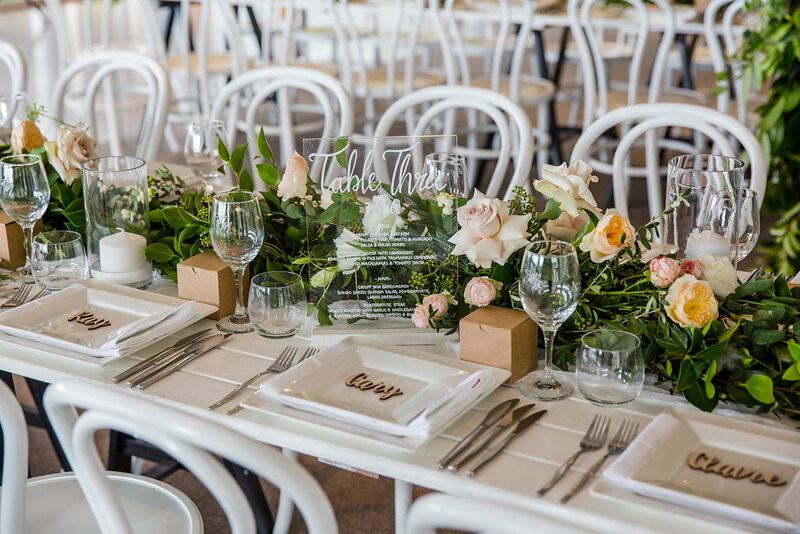 Georgie and Tim’s long timber trestle tables looked so glamorous dressed in modern bloom garlands that featured a continuation of their dreamy floral concept. 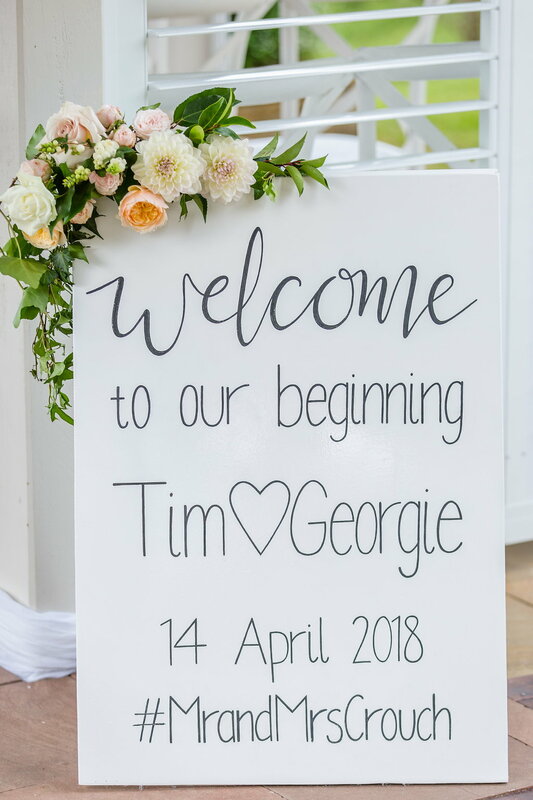 Time sure flies in our world here at Mondo but it has been an absolute pleasure strolling down memory lane and featuring Georgie and Tim’s special day. 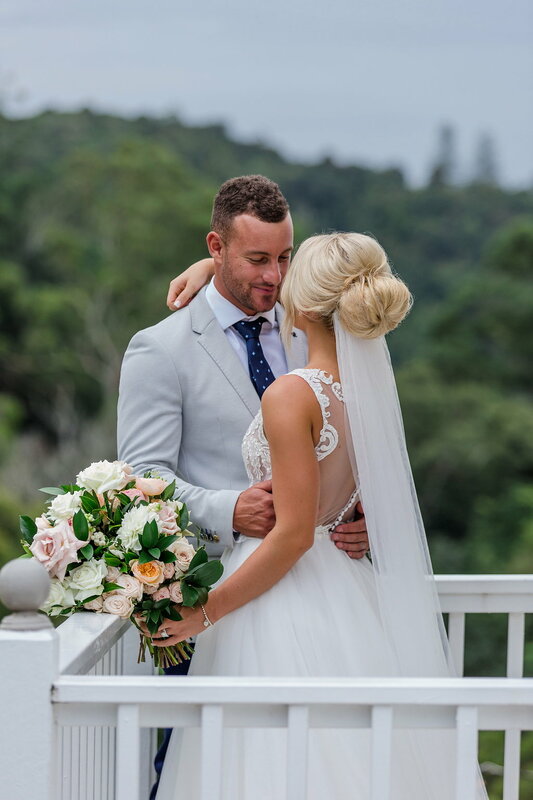 Happy 1st wedding anniversary love birds!